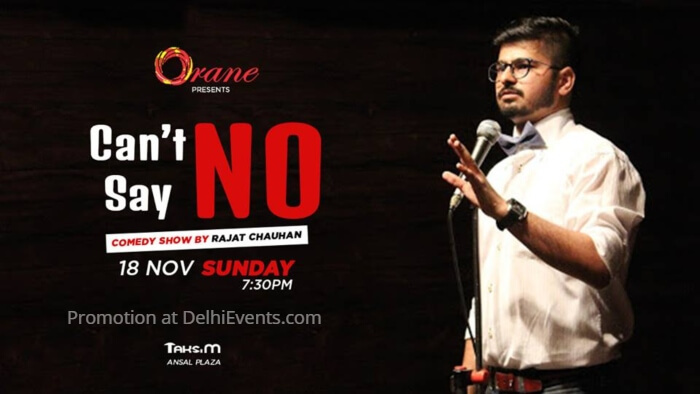 Rajat Chauhan, Delhi based comedian ( ISO certified) is coming to tickle your funny bones. Engineer by education, he started following his real passion after completing his engineering and now has been regular in this new age Standup Comedy scene for around 3 years, is a regular at Canvas Laugh Club Delhi and Mumbai and at all the pubs/bars in Delhi/NCR.He is regaling audiences with his brand of observational humor based on the commonplace aspects of everyday life and how people are dealing with it. He talks about his childhood experiences like school, school teachers, education system in India, crush, school friends and will lead you to adulthood experiences via roller coaster ride.